Tiered link building is known to be a method mostly utilized by black hat SEOs. 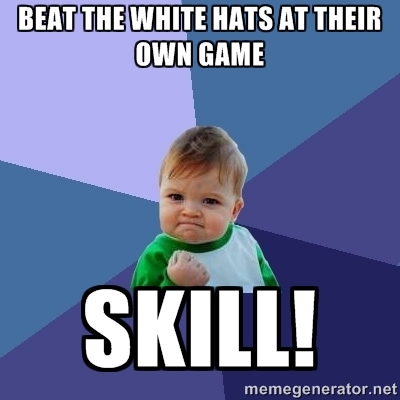 It can however be used by white hats in a more effective way. What I’ll discuss in this post is mainly what tiered link building is, how it’s mainly used right now, and how you can use it in a white hat way. 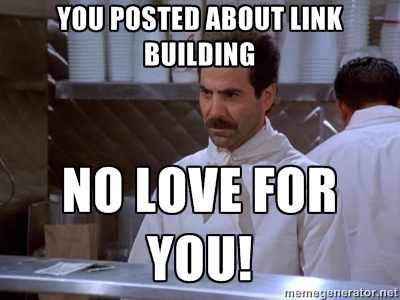 Tiered link building has been loved by black hat SEOs since ages. It’s basically the process of building multiple tiers of links to a target site. How does that work? Suppose, you’re a black hat SEO who’s just trying to grow a churn and burn site. So, you’d build relatively high-quality links as the first tier. Like, hand-written articles on 10-20 sites which’d give you nice contextual backlinks to your own site. So, to make those posts on your tier 1 more powerful, you point a few hundred tier 2 links at the tier 1’s. Then you point a few thousand links at your tier 2’s and it can go on, but I don’t see a need to using tier 4 and up in most cases. So, in short, all of these links make your tier 1’s powerful. So, effectively, your own site will get a much better boost from those tier 1 links. A good thing about this technique is that when you receive a warning (if you spammed) or get penalized, you can always cut-off the supply by removing those tier 1 links. Anyway, this post isn’t much about the black hat side of things. 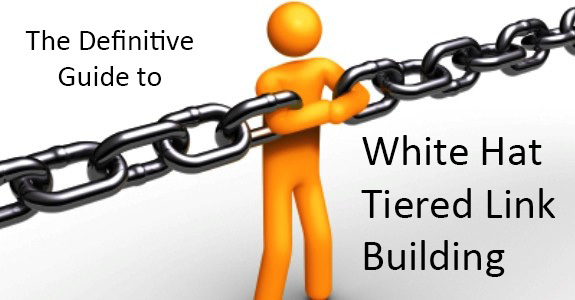 Now that you know about tiered link building, let’s see how you can use it for pure white hat purposes. Let’s say, I’m really proud of this post, InMotion Hosting review, and I want to boost its Page Authority by using tiered link building. Now, tiered link building can be implemented in a completely white hat SEO campaign. Basically, the tier 1’s in this case would be your guest posts on other sites, and other important sites linking to your site. No, the next tiers won’t be made up of spammy sites. This is an interesting part of the process. For your tier 2’s, you should actually look for sites with lots of Domain Authority (better) or PageRank (inaccurate reflection of authority in many cases) sites. You can either approach them to try to get a link, try broken link building (by suggesting them something from your own site to replace a broken link) or try to get a guest post published. They shouldn’t be that strict about accepting guest posts. Why? Probably because they’re badly in need of content or their overall performances are declining. You don’t care about that. The next step would be to link to your tier 1’s. If it’s just a single link, you can directly link to a related guest post of yours. If it’s a guest post, you can utilize the much-dreaded author bio area to link to your other posts or even your author profiles in other sites. Suppose, you wrote a pretty awesome post for a top notch blog in your niche. Now, you write 4-5 posts to build some tier 2 links to either that post or your profile in that site. What this’ll do is dramatically boost the Page Authority of that great post of yours. You’re not doing anyone any harm. You aren’t wasting electricity for something useless like spamming either. Your tier 2 posts are helping the owners of those sites. By building contextual links to your high-quality tier 1 guest posts, you’ll please the site’s in which you posted those posts, as you’ll not be the only person benefiting from that as those links will help drive the overall Domain Authority of those domains higher. Your content helps three parties in total: you, your tier 1 sites, your tier 2 sites. I’ll show you how you can implement the strategy, while sticking to just guest posting. I recommend going out on a tier 2 campaign only after you have published quite a few posts on a few of the Industry’s most well-known blogs. If you are able to write epic posts in under 2 hours like Neil Patel, however, I’d recommend you to do both tier 1’s and tier 2’s simultaneously. Finding your tier 1 targets is one of the easier things to do in the list. If you’re even thinking of a strategy like this, you should already be aware of the most popular blogs in your industry. Hat tip to Gareth Bull for this, but the strategy described below involving Technorati’s public blog directory does not work any more, since Technorati has shut down its blog directory. Other mentioned methods still work very well though. Even if you aren’t, you can browse through Technorati and know about some of the most authoritative sites in your niche. Another way to go around this thing is to find influencers individually through social networks. 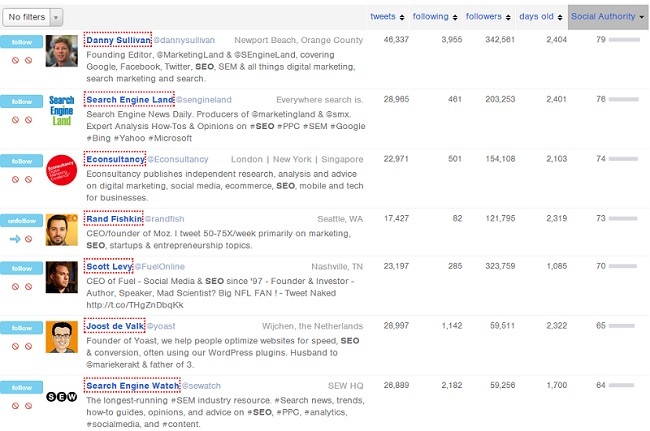 You can easily find tons of influencers using a tool like Followerwonk. All you have to do is to enter keyword(s) to search within people’s Twitter bios. You can sort the results based on the number of followers, Followerwonk authority and a lot of other things. You can refine your searches by specifying a minimum or maximum amount of followers or followings a person must have to be included in the list. The general rule of thumb for deciding on 1st tier sites is asking yourself: would I publish my post here even if the links to my site were nofollow’ed? If the answer is a big yes then you’ve just found yourself your next tier 1 target site. You generally don’t have to worry about the SEO benefits of posting a guest post on such a high-quality site. If you do, you can always run a check in Open Site Explorer for its domain-level link authority. Let’s go with the first site listed on Technorati under the ‘small business’ category for now. You don’t always have to target super high Domain Authority sites. I prefer to keep the bar at a minimum Domain Authority of 30. As long as the site is popular and gets tons of visits, you should be fine. Ideally, when you are spending time and resources producing an excellent piece of content, you want the love of both SEO and traffic. So, when you have options, make the choice according to your main priority. Let me give you a couple of examples. The site SearchEngineGuide.com has a DA of 77 and an Alexa rank of around 50K. While Alexa ranks can be very much inaccurate, they still give you an idea about a site’s traffic. To prove it, most of their blog posts get only a few comments. On the other hand, the site SocialMouths.com has a DA of 57 but an Alexa rank of around 20K (20K and 50K – huge difference). Most of its posts get over 30 comments, which indicates a fairly active and connected community. So, if you were to choose one between those two, which one would you choose? Well, it totally depends on what’s more important to you, SEO juice, or a high amount of quality traffic. Your message should be personalized. You should be careful about the grammar and spelling of your message. Be clear about what you’re going to write. If you’ve written quality guest posts before, include a few links to a few of them. Initially, never try make them interested by offering something in exchange, like money (worst). I’m not a big fan of email templates when it comes to reaching out to tier 1 sites, but if you do use one, make sure you keep the five points I listed above in mind. So, as you already know from reading the introduction part, tier 2 target sites are mostly websites that you know won’t drive much traffic to your site or help your brand grow significantly, but with awesome SEO powers, thanks to their backlink profiles. I mainly find tier 2 targets from other people that I am either following (on social media, for example) or directly from people in my target niche sharing such guest posts they’ve written on tier 2 sites. He posts super high-quality articles on the leading sites of the industry he’s in (SEO/internet marketing). These are the sites responsible for majority of his own site’s high Domain Authority, traffic, and his personal brand (you can show off: “featured on Moz, Search Engine Journal, Business Insider etc. etc.”). He posts unique, but generally shorter articles on sites that are still powerful in terms of SEO. They might not be as much powerful as Moz or Search Engine Journal, but they’re not very far behind either. 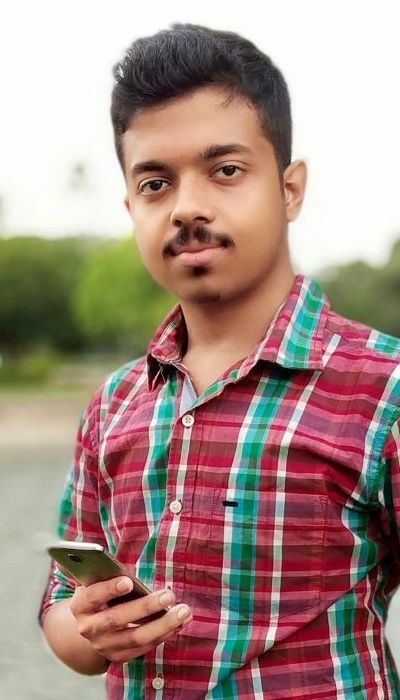 He links to his other author profiles on higher quality sites from those 2nd tier posts instead of his social media profiles and sometimes even his own website (it varies a lot, and you want it to vary). So let’s get a bit deep into it. Everyone links to their social media profiles from almost every guest post, no matter which site it’s posted on. If you’re posting on a low-traffic site that won’t refer much traffic anyway, you might swap your social media links for links to your 1st tier author profiles. If you really manage to impress someone very well through your tier 2 posts, you can be sure that in most cases they’ll Google your name and find your social networking profiles themselves. Now, we’re taking Brian just as an example of a person found to be utilizing the technique. Once you find someone in your own niche, you can very easily discover tons of their other guest posts using a fairly recent Google feature. With Google image search, if you’re using Chrome, you can right click on a picture and click on “search Google for this image”. Alternatively, you can simply download the author avatar and upload it to Google image search or simply search by image URL. Both will return same kind of results as Google Chrome’s built-in image search feature. The SERP will look like this once you’ve chosen to browse normal pages containing the image. You’ll more or less get lots of the author’s other posts or author profiles on different blogs. After taking a look at some of his/her posts, you can identify the tier 2 posts yourself. I’ve personally found a few quality sites through this method which aren’t that strict about the content length, writing style, and a thousand other things of their guest posts as long as their valuable and unique. I’ve directly published posts on them without linking out to my other profiles. Another fairly easy way to find both tier 1 and tier 2 sites is looking at the ‘contributor to’ section of people’s Google+ profiles. Some lists can be longer than you thought! Yet another way of finding second tier guest posting targets by using someone already involved in tiered white hat link building is using custom search queries. 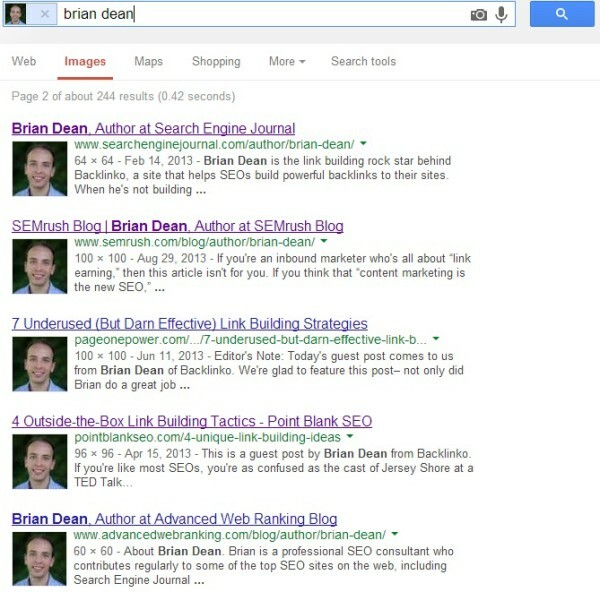 You can input “inpostauthor:brian dean” (replace ‘brian dean’ with any other name) in the Google search query box to find pretty much all posts ever posted by Brian. Now you can use ScrapeBox to scrape all the results and sort them by PR, DA etc. or use a handy little free Google Chrome extension called – Scrape Similar Plugin. You can add additional filters to refine the search results. For example, you don’t want to see results from his own site, so we’d modify the query and it’ll look like: “inpostauthor:brian dean -backlinko.com” (you have to replace ‘backlinko.com’ with the own site of the person you’ve targeted). You might have expertise in more than one topic. If you happen to be an expert in a topic related to the primary topic of your site, you can leverage that by posting guest posts on that topic. Actually, that’s how I find the InkThemes blog, where I’ve posted this piece comparing the features of two popular SEO plugins available for WordPress. The blog itself is PR6 and the domain boasts a Domain Authority of 90. What’s more interesting is that apart from obvious SEO benefits, that post ranks pretty well on Google for all related keywords because it’s on a good site, and hence drives quite a bit of traffic to TechTage and RohitPalit.com. What’s even more interesting is that the blog editor was impressed by the performance of that post in terms of attracting quality traffic. So, he recently requested me to write a few more posts for them — remember, a DA 90 site with a PR7 homepage. So, write quality content even if you wish to use it for tier 2 stuff, because it’ll build something arguably more valuable than a couple of backlinks — a good relationship. Subject: Looking for a guest post? 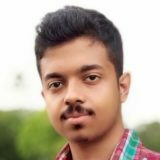 I'm Rohit Palit ([Personal Site URL], Optional), an SEO and a WordPress enthusiast. I just want to know if you accept guest posts on your blog. They have also been shared by SEO experts and social media influencers like [Name], [Name] and [Name], and WordPress experts like [Name]. I can write something about WordPress SEO or Speed Optimization if you wish. A good thing about templates like this one is that you don’t have to additionally prove your authenticity, your past works will do that for you. So, don’t even bother with “I can give you a copyscape-protected article”. Your conversion rate won’t be that bad, because you’ll realise that most of these blogs are in need of content anyway. Once you get a reply, though, you have to prove your worth through your post. If it’s a crappy piece, it won’t get published, no matter if your earlier posts were liked and shared by industry peers or street dogs. Contextual links tend to drive a lot more traffic to the target URLs than links contained in the ‘author bio’ area. They are often considered more natural by Google because they don’t tend to be that spammy even in guest posts. Clearly, “online marketing consulting” is a rich anchor-text. You should leverage this opportunity and drop a couple of links to your tier 1 site profiles or posts. If I assume that those tier 1 sites are more reputable than the tier 2 site you’re posting a guest post on, it’s highly unlikely that you’ll get any objections from the tier 2 site’s editor. Remember, you can only link to your author profiles on related sites and where it makes sense. If I’m posting on Moz, I wouldn’t link to my BlackHatWorld profile, and vice versa (you could give it a try 😛 ). 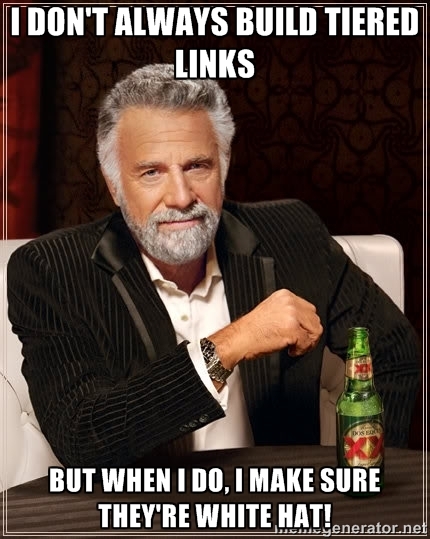 I wasn’t talking about black hat link building here. Please go through the entire post before you start building spammy links to your tier 2’s. Seriously, don’t harm the sites of the people who decided to be kind and offered you an opportunity to post on their sites. 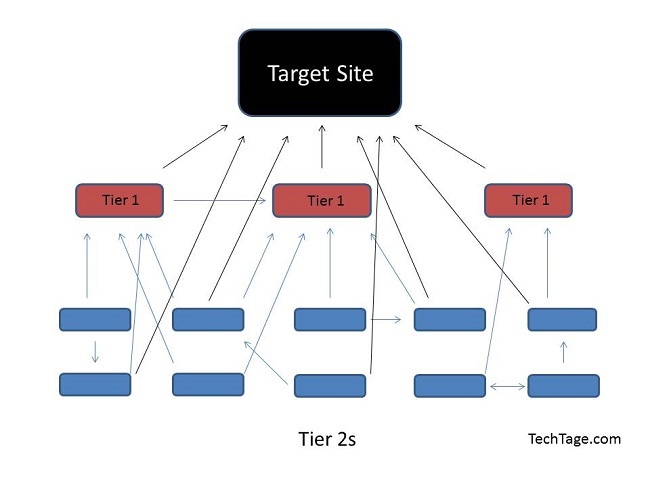 This white hat method of building tiered links helps all three types of people involved, the poster, the tier 1 sites and the tier 2 sites in one way or another. Tier 1 sites get awesome content plus additional links as a bonus. Tier 2 sites get high-quality content that they wanted badly. The person who starts the campaign gets increased visibility, quality traffic, leads, and a huge SEO boost for his/her site. Don’t just focus on links, build relationships with the site owners that you’ve come across during the whole process. White hat tiered link building is about linking out from some of your guest posts to your other guest posts or author profiles on other sites. You generally link to the author profiles on best sites you’ve posted in (tier 1’s) from smaller sites (tier 2’s). This is usually done from the author bio area. 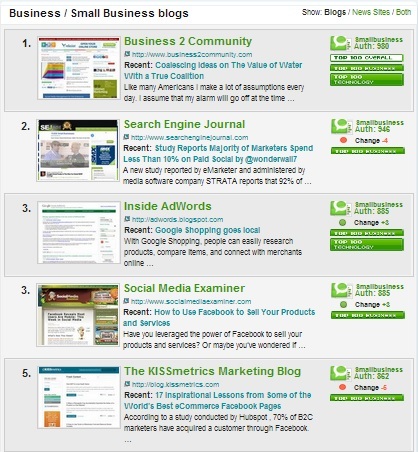 Use Technorati to browse the most authoritative blogs in your niche. Use FollowerWonk to discover the twitter profiles of some of the most popular people in your niche. Target the best sites in your niche for your tier 1 posts. Write epic content for tier 1’s. Target medium-to-small websites for your tier 2 posts. The reason is they’re much easier to get your posts published on (since they don’t have many options). You should still post quality content in tier 2 sites. Tier 2 guest posting takes less time, so you can post in many places in a short time. Enjoy the traffic, leads, conversions, exposure, increased brand visibility and a huge boost in your site’s SEO from this! Like many things, you can do tiered link building in both a black hat way, as well as a white hat way. Unlike the black hat way, the white hat way of building tiered links doesn’t harm anyone, while helping all the parties involved. So, what do you think about White Hat Tiered Link Building?